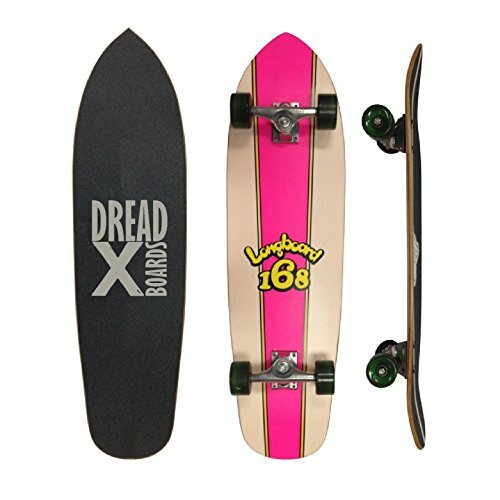 Back with Hot Transferred Graphic of the classic "Longboard 168"
DreadXBoards introduces 8 new styles of Artisan Longboard Cruisers. The finest quality 9-ply Canadian Maple was combined with OS Black Grip Tape with the DreadXBoards logo, 6 & 7-inch Aluminum Trucks and Bases, HR80A PU casting Wheels and ABEC-9 Chrome Bearings. Choose from the 8 pieces of the latest artwork and your favorite ride whether drop-through, fintail, kicktail, concave or freeride.